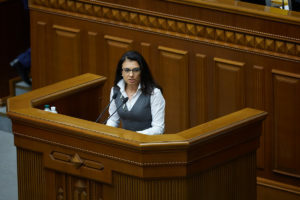 The Verkhovna Rada has received the draft state budget of Ukraine for the next year; however, its approval is not possible without introducing changes to the Tax Code. Parliamentary debates have focused on discussion of the two alternative draft laws – one initiated by the government, another by MPs. 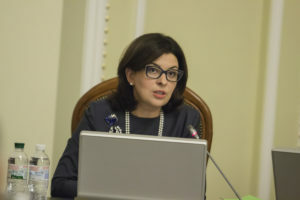 A member of the “Samopomich” faction, member of the Committee on Taxation and Customs Policy, Tetiana Ostrikova, told in an interview about the governmental project reform and about the faction’s observations with respect to the planned innovations. – The “Samopomich” Union faction has its own position on the tax reform presented by the government. Why is there a disagreement with the Cabinet? Since the spring we have been waiting for the tax reform, because we understand that the Ministry of Finance and the government are the main stakeholders in this process. According to the Constitution and Rules of Procedure, that is the Ministry of Finance which is responsible for the tax, customs, and budget policy of the state. By autumn we realized that the concept presented by the Ministry of Finance is not embodied in the text of the bill, that the latter does not meet the expectations of the society, so we started working independently in the areas that we believe are necessary to reform the tax system. – What are the key aspects of the reform in opinion of “Samopomich”? What should be done first? In the first place, “Samopomich” insists on the need to reform the tax authority itself. We believe that it is necessary to take away nonrelevant functions from the tax authority. Firstly, this is the punitive function: that is the service agency cannot not be composed of the tax police as a punitive body. The body which carries out checks cannot punish for non-compliance with the tax legislation – that is a conflict of interest. Therefore, we advocate for elimination of the tax police and establishment of an independent law enforcement agency – the Service of Financial Investigations which should be established on the model of the national police and the anti-corruption bureau. This means competitive recruitment of new quality employees with strong analytical skills who will work primarily on the analysis of the risks and prevention of possible financial crimes against the state’s public finances. – How does “Samopomich” offer to carry out the reform of tax administration, given the corruption factors? Our fundamental requirement is removal of all the obstacles in tax administration, elimination of corruption factors in VAT refund. To this end, we consider it necessary to introduce a public registry of applications for VAT refund, as well as to carry out such compensation in the order of priority, which will lead to elimination of the very possibility of corruption in the compensation process. We also insists on creation of a single automated procedure of VAT refund for all the taxpayers – this is the appropriate time for examining the applications, after which the VAT shall be either refunded to the account of the payer, or the legitimacy of its formation should be appealed by the State Fiscal Service. We believe that what is offered by the Ministry of Finance on financial guarantees by the defined by the Cabinet banks is unacceptable, because the system of electronic VAT administration with depositing means that any tax credit in the system is certified with the cash paid to the special account, therefore compensation should be automatic, without any additional criteria suggested by the Ministry of Finance. – What is your attitude towards the proposed by the Ministry of Finance tax reform of the agricultural sector? The “Samopomich” faction believes that the agricultural sector is a priority for the economy. Therefore, abolition of the special regime of VAT for all kinds of agricultural products without introducing any budget support programs is unacceptable. If the special regime is canceled, livestock producers will lose income from the special regime, at the same time their losses will increase, since the price of grain and industrial crops will rise due to recovery of VAT refund for export. Thus, this will increase the cost of animal feed. And this is happening amidst a deep crisis of the livestock. “Samopomich” will safeguard the interests of farmers both in terms of the special regime for VAT and the fixed agricultural tax. – What is the position regarding the taxation of small businesses? Analyzing any bills on tax reform we will defend the interests of small businesses, the subjects of the simplified system. Because when the state is unable to provide work for all people, we must help entrepreneurs who create jobs themselves. Therefore, such radical proposals as those offered by the Ministry are considered to be unacceptable. Of course, it is necessary to review the rules of the simplified system in terms of prevention of abuse and usage of the simplified system by big businesses, not to let big businesses pretend to be subjects of the third group. But the model that exists today should remain unchanged until the state comes out of the recession and can provide employees with appropriate working conditions, until a proper middle class is formed. – How does “Samopomich” estimate the project of the Ministry of Finance regarding the redistribution of taxes at the local level? What draws the attention of our faction is the balance of interests of local budgets. We cannot adopt the changes that will lead to losses of revenues of local budgets, or lead to a situation when as a result of the deficit of the pension fund or as a result of the budget deficit the state will get into the pockets of local budgets and redistribute the local taxes to the central level. Any suggestions like this are considered unacceptable. We need to ensure and improve the financial decentralization the first steps to which were taken in December last year. 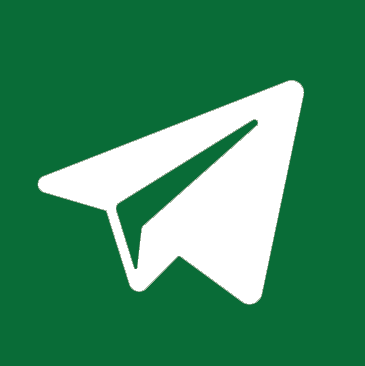 – How do you offer to settle the income tax? Today, there are many problems with this tax – large overpayment by business, balance losses that are difficult to relate to the subject of taxation. Therefore, the “Samopomich” faction in this regard considers it appropriate to reconsider the object of taxation – to shift to the taxation of distributed profits with some direct items of taxation – in the form of transfer pricing, relations with offshore and low taxable jurisdictions, with non-profit agencies and royalty payments in favour of non-residents. These relationships will belong to the direct object of taxation on profits. The rate may be the subject of discussion – it may be either 18% as proposed by the Petro Poroshenko Bloc or 20% as proposed by the Ministry of Finance. But this should be the taxation of distributed profits exactly. That is, when a company invests the earned money into the current assets, into the purchase of new equipment, to increase the salaries of employees, this should be encouraged, not be charged with the tax on profits. The tax rate may be a subject of discussion if an owner wants to withdraw the earned money for consumption in the form of dividends.